JAR OF HEARTS is out! that my life would change so completely. But it really has. I’ve moved six times in six years (two of them between countries), only to find myself back in Canada, in my hometown just outside Toronto, Canada. I’m married to an American from Green Bay, Wisconsin (by way of Seattle), that I met in Las Vegas on my very first weekend getaway as a newly single woman. We have a son who’s now three and a half. I’m a homeowner again. And today, I have a new book out with a new publisher, and I get to celebrate this incredible accomplishment here, at home, with my family and friends. If you’d told me back in 2012 that this would be my life, I would have laughed in your face. Because no way, of course not, don’t be ridiculous. But this it. This is me. This is us. And absolutely, this was always how it was supposed to go. Life is a wild ride, friends. Never underestimate your ability to hang on and steer in the direction you’re meant to go. We’re stronger and more capable than we give ourselves credit for. 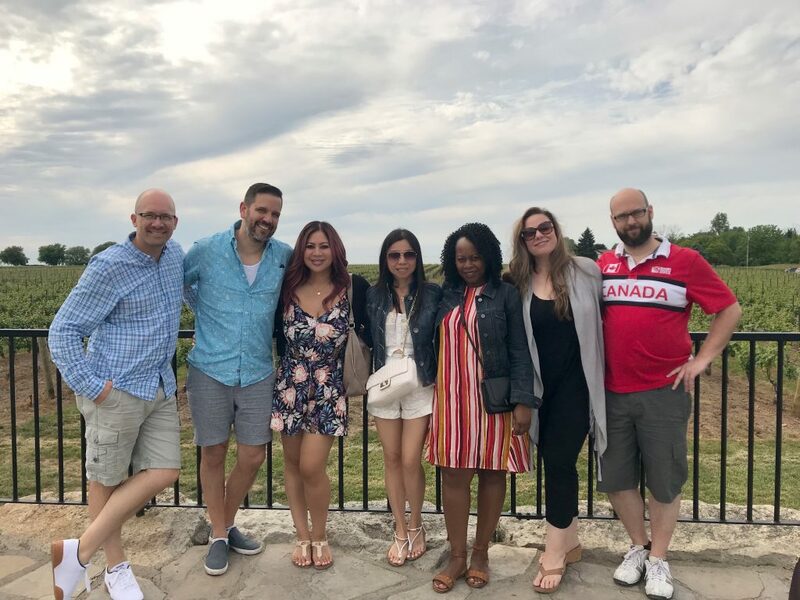 (This picture was taken last Saturday, during a day of wine tasting at Niagara-on-the-Lake). I have an essay that was published yesterday on CrimeReads where I write about divorce, starting over, and daring to imagine a different life—and how crime fiction can help with that. Because it really can. Literature, in general, holds up a mirror to our lives and reflects facets of it back to us, but crime fiction in particular is empowering. “Starting over meant a personal transformation had to take place, beginning with an inventory of where I was, what I’ve learned, and what I wanted, all things that were vastly different than the last time I was single (which was when I was eighteen). Lessons had to be learned. Self-exploration was a must. I didn’t feel prepared for any of it. If faced with the choice to stay in a life that was “just okay” or start all over again—which is a lot of work and comes with a ton of risk—I suspect most people would choose the former. Read the post—which includes the nicest words from the kindest author people—here. 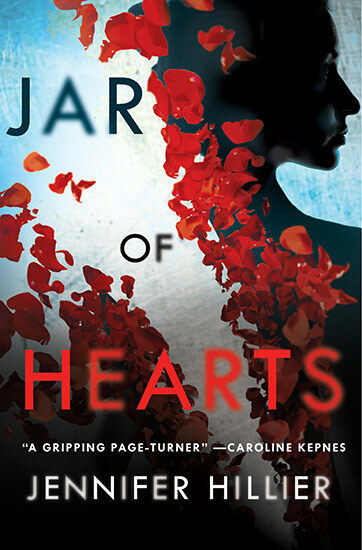 It’s no secret that JAR OF HEARTS borrows its title from the beautiful and haunting song by Christina Perri. I used to listen to it over and over again back in 2012. Depending on the moment, it could make me feel grief, or triumph, or sadness, or hope. A few years later, when I started writing the book, I didn’t know for the longest time what the title would be. Then “Jar of Hearts” came on. And, like music has the power to do, it transported me right back to that place—the exact turning point after I’d been torn apart, but was finally beginning to rebuild. The title felt exactly right. If you haven’t heard the song yet, click here. 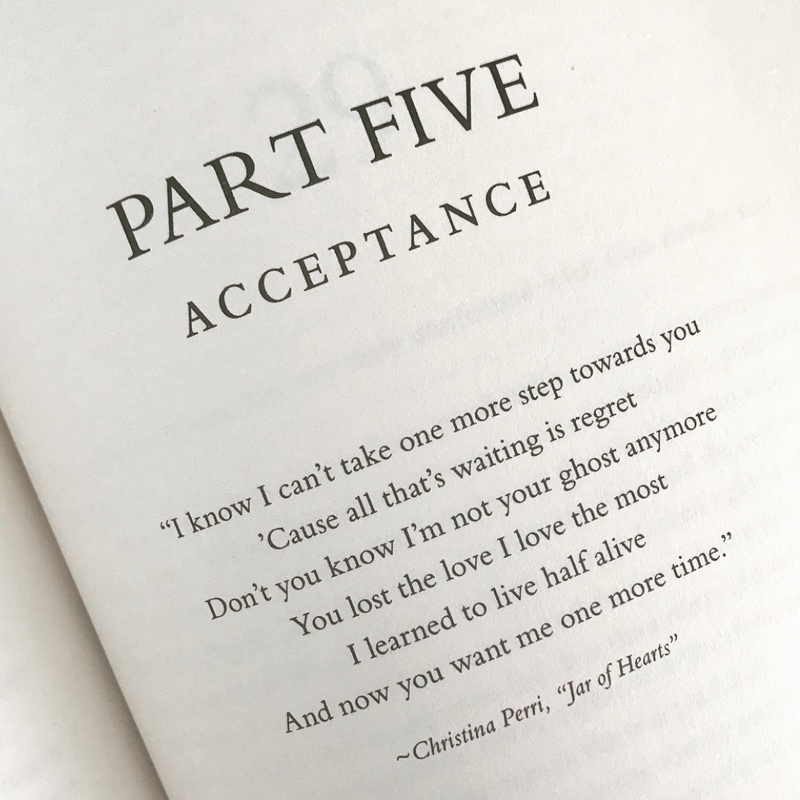 The lyrics open the fifth and final part of the book, and I hope when you read it, you’ll see how perfectly it fits. Today is the day that JAR OF HEARTS is out in the world. Today is special, obviously (and it’s also my husband’s birthday—what a good omen). But we’re just getting started. Today is a pebble in the water, and I hope the ripples spread. I hope JAR OF HEARTS finds its way to you, and into the hands of readers like you. I hope it entertains you. I hope you guys enjoy it enough to recommend it to others. I hope the book travels to wherever it’s destined to go. And I can’t lie. I hope it goes far. There aren’t enough words to express the love and gratitude I have for all of you. I can’t imagine doing anything else with my life other than be a storyteller. Thank you for being on this crazy adventure with me. It’s a privilege, that’s for damned sure. To celebrate book release day, I’m giving away FOUR of these hardcovers from my personal stash, which I’ll sign personally to you. I’ll choose one random winner from my newsletter subscribers’ list, and the other three winners will be chosen through social media—one winner through Facebook, one through Twitter, and one through Instagram . Make sure you’re following me in all these places, because in order to be eligible, you’ll have to share my post AND answer a question! Best answer wins! Winners will be announced on Friday. Happy birthday, book! And happy birthday, Darren!